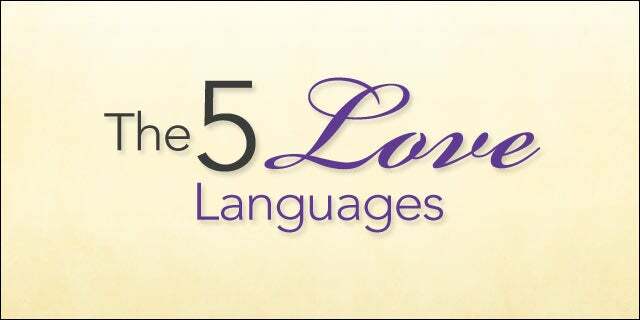 Gary Chapman’s book “The Five Love Languages” is a must read book for couples seeking a healthy, sustainable relationship. Recently I realized that this book is applicable to an employer’s relationship with an employee – especially if you keep the romantic part out of it. Words of Affirmation – For some people, words speak louder than – or just as loud as – actions. Receiving Gifts – Concrete displays of affection – flowers, chocolates, Jimmy Choos, Ferraris, etc. Acts of Service – Doing favors or chores for others. Physical Touch – This isn’t necessarily about what happens in the boudoir; it’s more about arms around your shoulder, holding hands, and so on. Chapman’s theory is that all of us seek emotional affirmation with a mix of the above emotional bucket fillers. Yet we all have a primary preference. Some of us value Words of Affirmation above all else, while others may value Quality Time or Receiving Gifts. According to Chapman, the key to a healthy relationship is to have each mate understand and fill the emotional needs of the other. People tend to assume and project the love language they value is the same for others and therefore treat their partner as they would like to be treated – which is not always the case. If you understand each other’s emotional needs and keep each other’s love bucket full, you’ll have a healthy, sustainable relationship. One other point: keep the love bucket full, but don’t publicly blog and complain about your mates proclivity for shoe purchases. My experience tells me that this concept is just as important and applicable for managing a healthy relationship with one’s employees as it is in a romantic relationship. Now for the professional relationship let’s eliminate the physical touch need, because that’s just creepy. Employees don’t usually join a company to fulfill this need and if they do, you are best served by leaving that bucket empty. That leaves us with these four items. Words of Affirmation – Recognizing your team members privately and publicly. Do you recognize outstanding performance? Quality Time – Spending times with your team members to get to know them better, solicit their opinions and give and get feedback. Many times constructively kicking an employee in the tail achieves positive results. Even well-meaning negative feedback shows an employee they’re a part of the team. Receiving Gifts – When was the last time you gave an employee a coupon for a dinner for two or a bottle of Dom Perignon? How do you reward the employee who stays up all night to meet a customer commitment? Acts of Service – Allow the use of company equipment or vehicles, extra time-off for personal situations like child births, etc. Employees are no longer motivated by the carrot and stick motivational techniques of the past. The latest motivational research illustrates that money is not the prime motivator for conceptual workers (see Daniel Pink – Drive). Maintaining a culture that sustainably supports employee engagement is a function of the relationship between the employer and employee. First I’d like to suggest that shifting your thinking from the old employer/employee mindset to that of a relationship between members of a team. Second, it is my contention that the better you understand and fulfill the emotional needs of your employees, the more successful you will be at building a culture of high performance. Why is BitCoin Losing Value? One BitCoin was worth nearly $20,000 in December 2017. Now, the cryptocurrency is trading for barely a quarter of that. We asked a bunch of experts why BitCoin had been haemorrhaging value, why it got so valuable in the first place and whether it'll ever recover.